Today's post is a long one, but it's incredibly important to me, so please bear with me and read until the end! 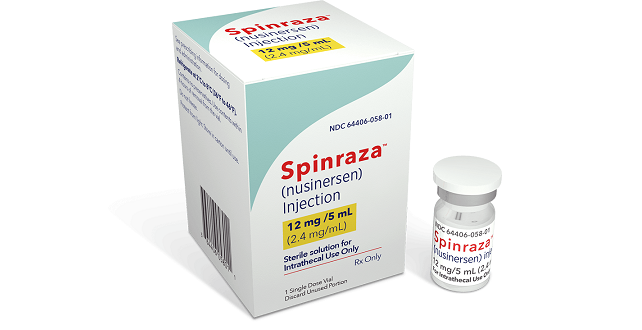 A little over a year ago, right before Christmas in 2016, the FDA announced that they were approving Spinraza - the first ever drug treating Spinal Muscular Atrophy (SMA). This was such huge news - getting FDA approval is not an easy process, and it had been years in the making, through research and clinical trials. The drug was approved for all ages and all types of SMA (I'm Type II). Spinraza isn't a cure for SMA, by any means, but it can slow the progression of the disease, and in some cases, people actually see some gains of strength and abilities that they'd previously lost. Because of the way the drug works, the younger you are, the more effective it will be - most of the studies had been done on infants and young children with Type I.
I was excited, but a bit hesitant, after hearing the news. I know how slow medical things can be, and FDA approval is a great first step, but actually getting the treatment is a whole other thing. It involves getting physicians on board, getting the medication produced and to the facilities, and getting insurances to cover it as well. Complicating the matter even further for me is that Spinraza has to be injected intrathecally - into the base of the spine. I had a spinal fusion when I was in middle school (as did most other people my age with SMA) because of severe scoliosis, and having metal rods attached to your spine definitely complicates injection - though it doesn't make it impossible. I knew it was early still, but I contacted my neurologist to at least discuss Spinraza with her. I didn't speak to her right away, but the nurse who I spoke to gave me a prepared speech about how the clinic had currently decided that they were not going to offer Sprinraza to any adults. This was incredibly disappointing, but not altogether shocking to me - at that point, not many adults had gotten Spinraza at all, and no one with a spinal fusion had gotten the drug, either. I understood that working these things out takes time, and wanted to be patient while clinicians figured out the best way for adults to be treated. When I did get in to actually talk to the neurologist, she didn't seem very enthusiastic about the possibility of Spinraza - she wanted to make sure I knew that it only stopped further progression of the disease; basically, she didn't think it would really be of any value to me. That insinuation was frustrating enough on its own. For my neurologist, who is supposed to be my physician who specializes in the treatment of SMA, to think that stopping the progression of my disease wouldn't be beneficial really made me feel that she didn't understand the reality of the disease, or of my life. Stopping my disease from progressing could mean the difference, for me, between some sort of independence and living at home for my whole life; between breathing on my own and relying on a ventilator to breathe! These aren't small things - they are huge, life altering changes that Spinraza could potentially stop. Then, I found out through the Facebook group that I mentioned in this post that adults were being treated, all over the country. Not every single adult can safely get the injection, but many can - interventional radiologists can do a fluoroscopy-guided CT scan to help find the right place for the injection. I kept checking the Facebook group, and kept seeing more and more adults posting messages about getting the treatment, and the benefits that they were seeing. I took this information back to my neurologist through e-mail, and she just said that she didn't have any real update for me or any further information, and that they still weren't treating adults at the clinic. Someone else that I know with SMA has actually started the process of getting Spinraza in Cleveland, where they are treating adults. But this means that she has to travel to Cleveland every four months, potentially for the rest of her life, to get a treatment because UPMC here in Pittsburgh is refusing to offer it. It's so incredibly frustrating to know that there is a treatment I could be getting, but that I'm not receiving it because my doctor doesn't think it'll be helpful enough for me. It's frustrating to feel that she doesn't want to put in the effort to figure out how I could be treated. It's frustrating to have to continue to fight against my doctor, who is supposed to have the best interests of my health in mind. It's frustrating to think that I need to take a four hour round trip ride to Cleveland every four months because my doctor in Pittsburgh isn't interested in helping me get treated here - especially since travel isn't exactly easy for me (which I talk about here)! Basically, it's frustrating that I have to continue to fight so hard for my health, when I already have to fight for my health every single day of my life. There's no real end to this saga, right now - I'm going to continue talking to anyone that I can at UPMC to convince them to follow the lead of other academic medical centers all across the country and allow me to have access to a life-changing drug.